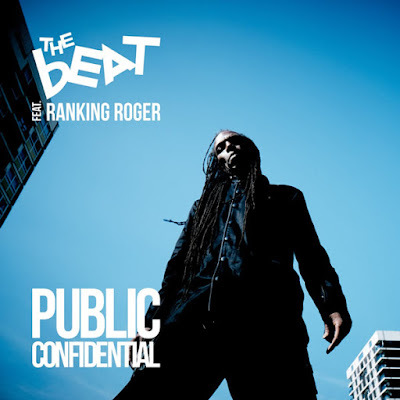 The Duff Guide to Ska: Duff Review: The Beat Featuring Ranking Roger "Public Confidential"
Well stated, all throughout -- there’s not a whole lot that I could add, apart from saying that I’m really glad to hear that you’re digging the album as much as I am, and as much as I thought you would. One of the [many] highlights of the album, for me, are the sax lines from Chiko Hamilton -- he obviously and deeply understands what made Saxa’s playing so incredibly special. As for the timing coinciding with the release of Encore from The Specials... there was plenty of room for 2Tone records in 1979 and, for me, there’s even more room for this stuff now, in 2019. I wouldn’t argue with a new Madness album this year! I see Encore and Public Confidential complementing one another, much more than competing with each other. And, perhaps more impressively, complementing each other without coming across as appealing strictly to nostalgia or sentimentality -- both albums possess vitality, which is the sort of thing that returning artists and reunited bands seldom possess. Encore and Public Confidential are drenched in vitality! Here’s hoping for a long future of new releases from Ranking Roger! Thanks for your comments, Mark!